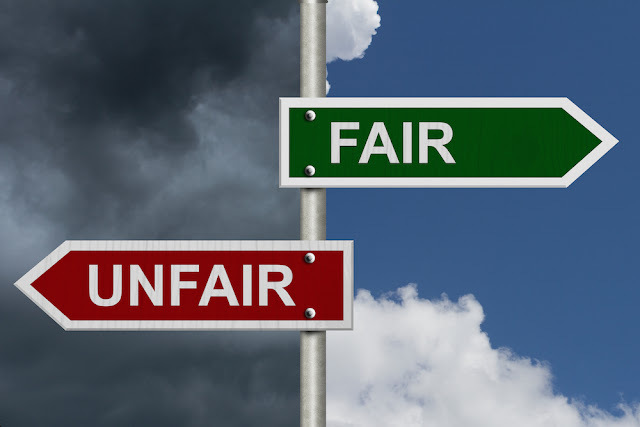 Home » parenting » What Is "Fair"? This year, Smarty has a subject called "College Prep" once a week. She enjoys it quite a bit, because she gets to learn more about how college admissions work, about college life and so on. But she mostly enjoy various quizzes that students take in an effort to understand themselves better. One of the first quizzes she took was "Values" quiz which is supposed to help students establish their priorities. It did not surprise me that Smarty's highest value was fairness and justice. This came out before as well in another, more extended quiz, that she once took. Smarty is very honest herself and expects the same from others. She likes order and rules and is overwhelmed when there is too much chaos in her environment. She is also sensitive to any sort of unfairness, whether it comes from history books (e.g. slavery) or modern day racism. But... her sense of fairness is still very "narrow" and black-and-white. Case in point. Smarty was complaining to me that her geography teacher allows unlimited retests for a specific type of test without lowering the grade. In other words, the students that would get an A on attempt #4 on this test would still get the same A that she got on the first attempt. I pointed out to her that these students do pay for not taking the test on the first try by having to study extra time and having to stress over the test for longer. She rebutted that she studied too and that her efforts and willpower to stick with deadlines should be recognized with a higher grade. I asked a question about this method of grading on the Facebook forum for parents of gifted kids that I frequent and was amazed how much dispute it generated. Some parents agreed with my daughter's point of view, and some were strongly in favor of "A for persistence". What surprised me is that a lot of parents were advising that my daughter should simply focus on her own grades and not care about what anyone else is getting. For once, I think that it's disingenuous to think that our kids don't compare themselves to each other. They do, whether with grades or without them. Secondly, I don't like this advice, because it smacks of not questioning authority and just keeping one's nose to the grind. I do want Smarty to question authority, and I am very glad that she is able to discuss thing things with me, so I can expand her horizons a bit. In my conversation with Smarty I poked gently on why her classmates might have bombed the test. According to her, the matter is pretty simple - they did not focus on studying. She gave me examples on how some of her classmates play on their devices during class even though I cannot imagine how they manage to do that in class of 10 people. She thinks that the test was not important enough to them. Both of these points might be true, but in this and previous conversations I brought up matters of learning differences - differences in working memory, processing speed, focus. I want Smarty to understand that not everyone is the same, and some people simply need more time. We also talked about test anxiety and how liberating it can feel not to worry that a bad day will affect your grade. 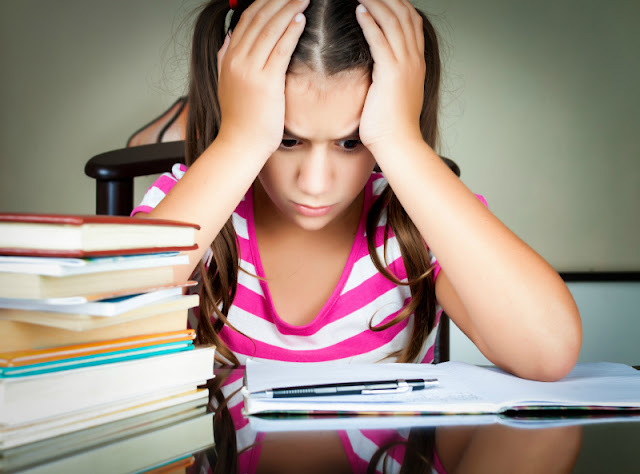 In the end of conversation, she started seeing that things that are fair to her are not necessarily fair to others and she was able to agree that having others receiving an A after several attempts does not diminish her feat of receiving a perfect score on the first try on a difficult memorization test. I would like to be able to say that I completely convinced Smarty to take a different perspective, but she is not that easily malleable these days. Just like her father, she needs some time to process things for herself before she changes her mind. We keep working to expand her definition of fairness and teaching her to look at things from more than one point of view. I really hope that she becomes more flexible in her understanding of fairness and justice as she matures. At the moment, I see a typical single-mindedness of youth in her when it comes to moral issues, single-mindedness that is ruining our country when adults think of moral issues and vote. I think it would benefit all of us if we did more deep thinking without trying to sort the world into black and white colors. How do you teach fairness to your kids? This is a big deal to my daughter too. Which has me wondering how much this breaks along gender lines, because it doesn't my bother either my husband or sons as much.